According to the Augusta Chronicle article, there were 325 people in attendance. Former Georgia Tech player and coach Bill Curry also delivered a keynote speech. John Smoltz is the former pitcher for the Atlanta Braves. He is a born-again Christian who has made Atlanta his home, and is Chairman of the Board at Alpharetta-based King’s Ridge Christian School, and a member of the Presbyterian Church in America. 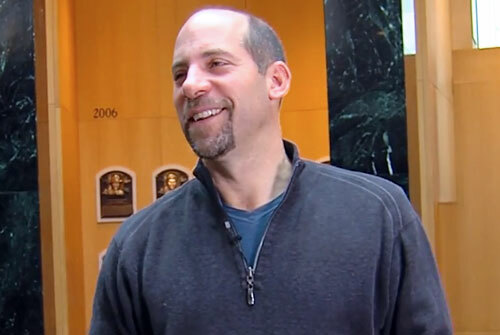 Smoltz is an eight-time All-Star and played all but his last year for the Atlanta Braves. Smoltz’s number 29 was retired in a ceremony before the game against the Toronto Blue Jays on June 8, 2012. In 2014, he was hired by Fox Sports as a game analyst. Christian Speakers 360 is a booking agent for Christian athletes and celebrities. If you would like to book John Smoltz for an appearance, contact a John Smoltz booking agent for speaker fees at 1.800.966.1380.